The drawings I made for this project (and other projects from this same period) were an exercise in mood: hand drafted, then digitized and inverted, and then touched up by hand again with chalk pastels. 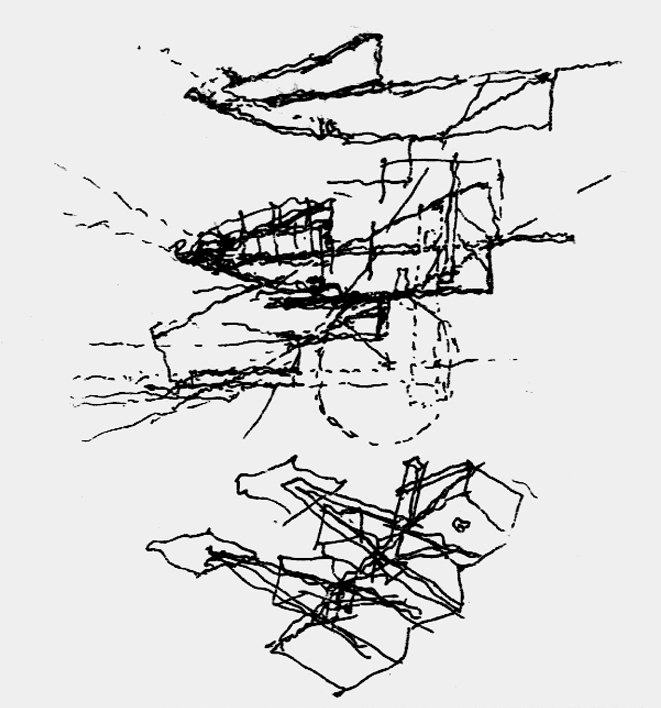 This was all happening at that rare transition time in architecture studio culture in the early 2000s when computers coexisted happily with older by-hand drawing techniques often resulting in absurdly complicated processes for image production. This didn’t make anyone’s life easier at the time, but it did result in some uniquely exuberant drawings layered thickly with atmosphere. 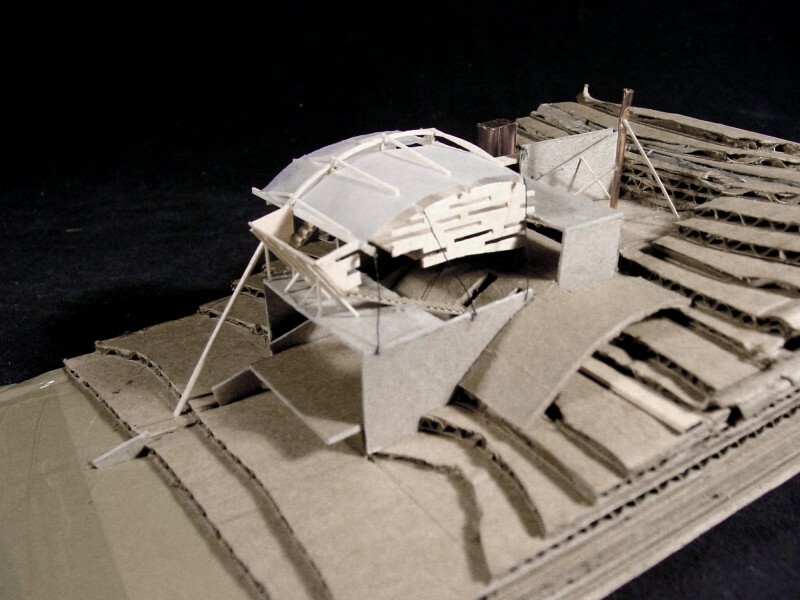 Models for this project were built with a scavenger’s sensibility out of used basswood, thread, and scrap cardboard (with original packaging tape still attached in some places).